Minister of Industry, Donville Inniss has cautioned local exporters to ensure that their products, particularly food products, adhere to international standards. Inniss said the lack of export readiness has been a ‘weakness’ of not only Barbadian but also regional businesses for some time now, and this has been hindering the full use of the European Partnership Agreement (EPA). While he encouraged entrepreneurs to ‘look beyond the shores of Barbados’, he warned that products seeking to enter the European market stand the chance of being rejected if they did not meet the requisite sanitary standards. Referencing the corned beef saga which resulted in the ban of beef products coming out of Brazil, Inniss said this incident highlighted the need for local exporters to follow the proper procedures. “And we all know the importance of standards. We only just last week had the issue of corned beef with some alleged corrupt practices. But these things speak to the importance of sanitary and phytosanitary conditions that is a prerequisite of us getting our products in the market. Inniss added those who wished to trade outside of Barbados needed to first ‘get it right at home’ before seeking to move to the European market. 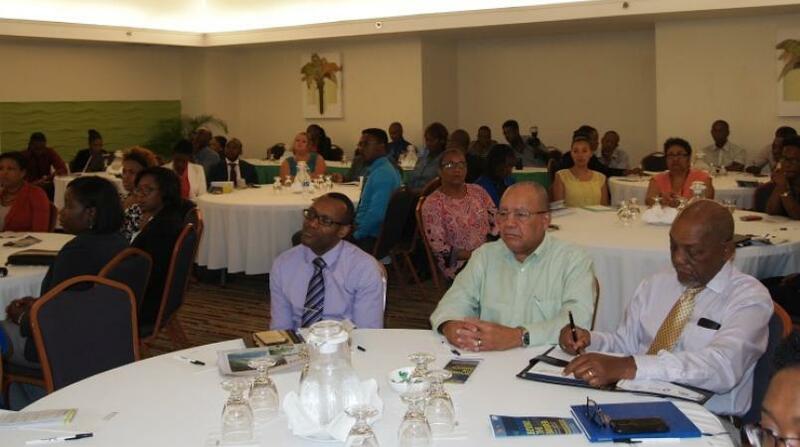 He delivered the feature address at the Barbados Private Sector Trade Team forum this morning at Radisson Aquatica.